Check my blog for a new freebie that coordinates with the Splish Splash Mega Collaboration Kit. 40 Percent Off Sale, Grab Bags and a Coupon! My store (along with lots of others at Plain Digital Wrapper) is on sale for 40 Percent off this week. Plus I have two new grab bags in the store. Check out the Grab Bag Reveal on my blog and get a coupon for an additional $1 off these already great deals. 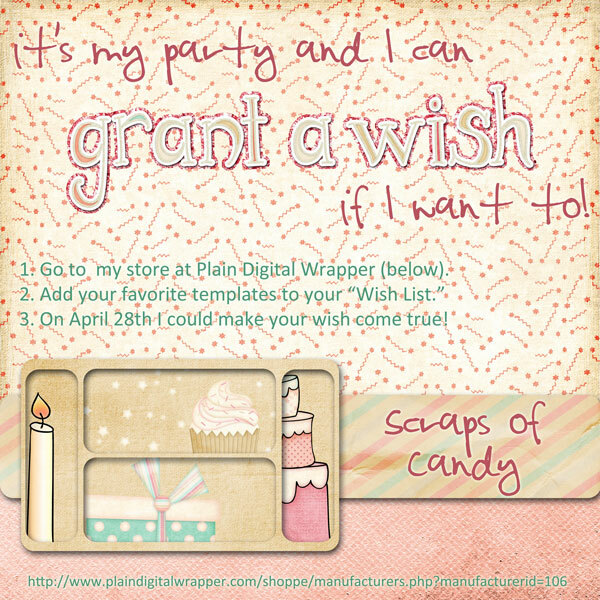 Plus don't miss these special events at Plain Digital Wrapper this week! Can you list the kits used in the banner? Gallery Hunt: Can you find a layout in our gallery with the specifications that I list? Booty Bags!! Don’t forget the booty in our booty bags! 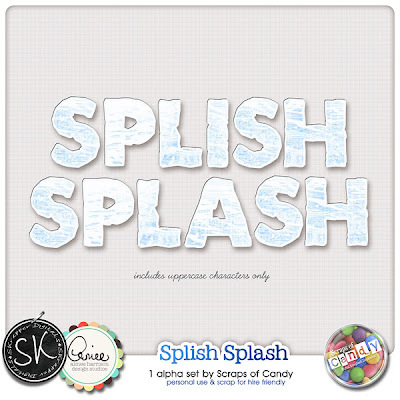 SPECIAL: Coupon Bag, a special grab bag with coupons from some of our designers. There is a freebie on my new blog. Make sure you check out my new blog for this freebie! I am moving to a new home on the web. 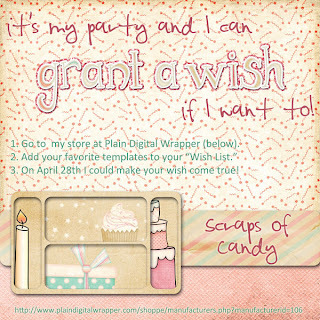 Please check out my new blog at http://www.scrapsofcandy.com/blog. Pssst . . .I heard there was a free template there waiting for you. Wishes being granted . . .
Would you rather have a quickpage or template freebie? 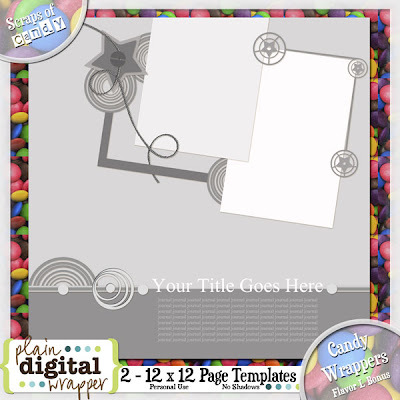 Blog design created using Fall 4 You by Julie. It is. Get notified when I post a new freebie quickpage. What I scrap most . . . I am an Information Technology Director by day and a digi-scrapbooking addict by night. 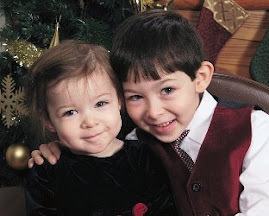 I have two beautiful children, Shane, who is a spirited bundle of energy with an overactive imagination and Alexis, who will melt your heart with just one of her beautiful smiles. They are my reason for being and my reason for scrapping. My Verse of Inspiration These Days . . .